We live in a post-DVD world now but there are still occasions where you may need to burn a DVD. My son recently played in a piano concert and he wanted to burn a DVD of the concert for his grandfather. iDVD is the best option for doing this. Here’s how to get hold of it and what it can do. Burning a DVD is a complex task. Thankfully this difficult task was simplified by iDVD. 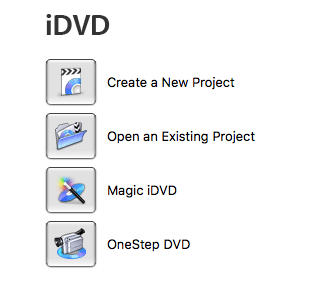 iDVD was a part of the iLife package that was bundled with new iMacs. Apple still sell a SuperDrive which can burn DVDs but ‘iDVD’ is no longer available from Apple. I recently did a fresh install of OS X Sierra so when I went to use iDVD it was no longer on my computer either. Thankfully I was able to go through some old backups and find a copy. All I needed to do was copy the iDVD application from my applications folder and the iDVD themes folder from Library/Application Support and it was up and running in no time. The lastest version of iDVD is version 7.1.2. Version 7.0 comes with iLife 09, iLife 10 and iLife 11. Apple has an update from the Apple downloads webpage (here) that will update it to 7.1.2. If you do buy the iLife DVD, it probably won’t install because Apple put a use-by date on the installer. You can read about this and how to get around it here. Once it’s installed it runs fine. It even works in the latest version of OS X, macOS Sierra. Here is a picture of the iDVD opening screen. Click on ‘Create a New Project’ and away you go. iDVD comes with a series of built-in ‘templates’ for the opening screen of the DVD and the menus. 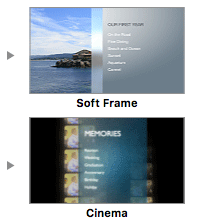 Example of 2 iDVD templates. After you have chosen a template you just add in the movies that you want, name them, and burn the DVD. iDVD Is pretty intuitive, you should work it out yourself. The only thing that I should point out is that the names Apple have given to the ‘quality’ settings (under the Project info menu) are stupid. ‘Best Performance’ actually means highest quality. It gives you the largest file sizes so you can only fit one hour on a DVD but it will be the best quality. ‘Professional Quality’ is somewhere in the middle, so it is best for videos between one hour and two hours long. The bottom line is, if you want the highest quality video, check Best Performance. Thankfully this is the default setting. Also, if you check ‘Best performance’ it will encode all the videos in the background. You can go to the Project Info page under the project menu, and there is little graph showing you when all videos have finished encoding. Once they have finished encoding it will allow you to burn them much more quickly. 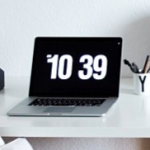 How to get the Best Free OS X software How to get cheap software – limited time How to undo typing on your iPhone or iPad How to make a DVD on OS X without iDVD Help with Aussie alternative to Quicken finance software. Quite a few typos in this, Wayne. When I’m at a larger screen, I will make note of as many as I can, then send them to you. Sorry Andrew, I’ll check that out. Then let me know if you still find any!